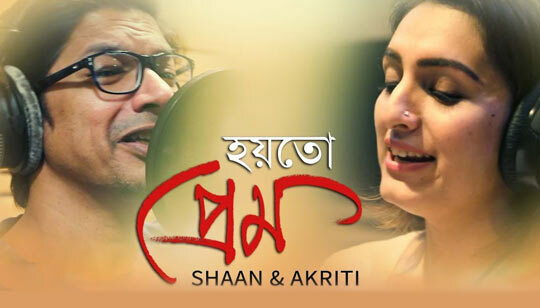 Megher Paloke Lyrics from Hoytoh Prem Bengali Album: The song is sung by Shaan And Akriti Kakkar Music composed by Joy Sarkar And Bangla Song Lyrics written by Arindam Saha. This is a Durga Puja Special bengali Album 2018. ভেসে যেতে চাই আমি তোর সাথে..